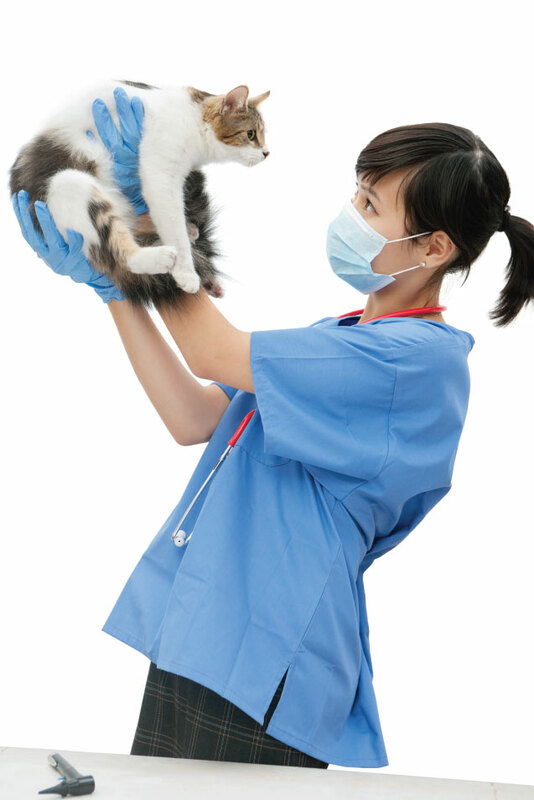 Because your pet deserves the best care possible. Be part of the digital movement to Increase sales, boost customer loyalty and improve pet health outcomes. Be part of your customer’s pet health care journey by giving them a beautifully designed, free app to keep track of their pet’s health, well being, memories, appointments, medications and more … You’ll never be just another advertiser in a crowded marketplace again. We will showcase your business to our active marketplace of 3.75 million decision makers, with 66% being pet owners, PLUS you’ll be listed in our “find a pet partner” page, showcased to our social pages and on our blog! We’ll also provide you with online training to increase users, engage with users and monetise the app in a variety of ways, adding a new income stream to your business. Increase sales, loyalty, CRM and marketing efficiency, whilst offering your customers the ultimate value. If you’re only using traditional marketing such as catalogues, EDMs and advertisements, you’re only reaching around 30% of your clients. 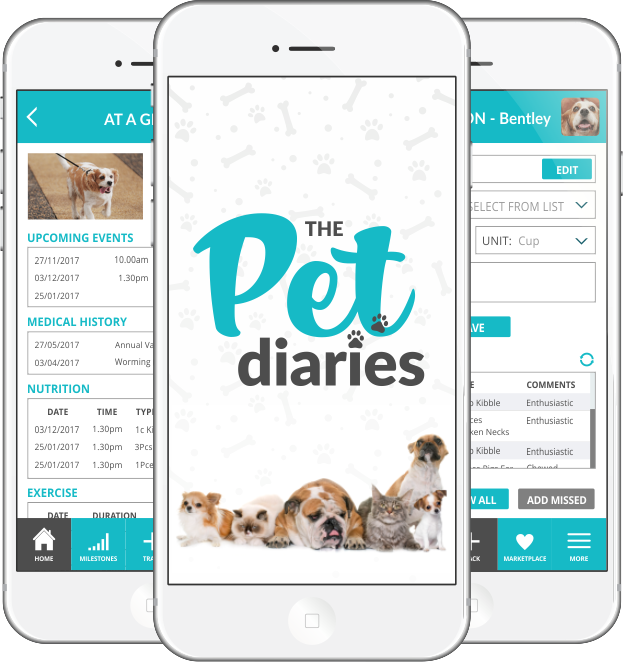 By offering clients The Pet Diaries you become more than a supplier … you are part of their pet’s healthcare journey! You can’t fix it if you’re not measuring it! Monthly reports provide deep insights into your customer’s demographics, location, pet details, app usage, retention and even how they found the app (their acquisition journey). Then we’ll show you how to use this data to better engage with customers to grow your business. The Pet Diaries is a customer Acquisition, Retention and Education tool. It boosts customer loyalty, improves health and well-being outcomes for pets, and offers a significant Return on Investment to your business. Imagine a tool that enables your business to send offers to customers for products or services they need, in real time. Imagine that this tool also enhances the pet’s health and well-being, and puts your brand in front of your country’s most powerful consumer every day without being even slightly annoying? This tool will set you apart from every one of your competitors. This tool is The Pet Diaries app. The Pet Diaries creates value by turning customer data into working assets. By overlaying behavioural sciences, this solution delivers real time business intelligence and analytics, which provide you with contextual relevance to communicate with your customers and drive incremental ROI. Our solutions are designed to operate within the retail, insurance, services, events, loyalty and health and wellness sectors of the global pet market. Our B2B business has a global and growing footprint that includes international brands, pharmacy, retailers, media owners and insurance companies. We understand that you need to demonstrate value, nurture relationships and take CRM to the next level of excellence through personalised engagement. Our solutions mean you can stay focused on core business while we complete the tech to bring you closer to your customers. Our done for you solution is not only extremely affordable, but you’ll have it within weeks of signing up to our monthly subscription plan. Then all you need to do is upload your logo onto the app, add your advertisements and presto, it’s ready for your current and future customers to use! And, while the process is super simple, we will provide you with online step by step onboarding and training that will show you how to add your logo, add clickable links to your eCommerce store, blog, catalogue, social media pages, partner pages, affiliates … or any site you want to promote. We’ll also provide you with sample media releases in case you’d like to get some free PR, and we’ll even provide you with example social media adverts to help you grow your user acquisition! Your clients will now see your brand in their hand every day … but you can enhance this engagement by sending emails and push notifications as often as you like.